Released on: February 21, 2012. Directed by Kim Han-min in 2011, War Of The Arrows starts off with a bang as it puts us right in the middle of a battle against some Korean fighters defending their country from an influx of Manchurian soldiers. 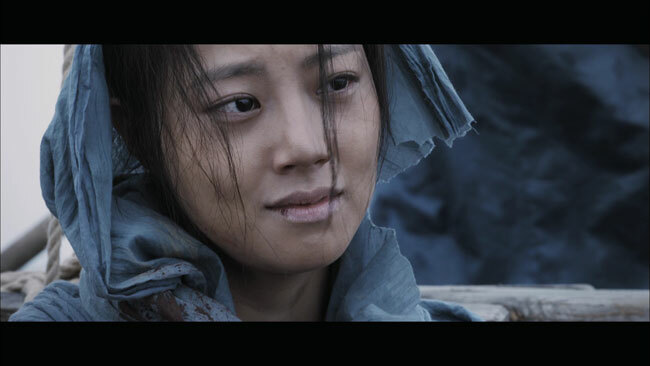 The battle kills a man and leaves his son, Choi Nam-yi (Park Hae-il) alone to care for his younger sister, Choi Ja-in (Moon Chae-won). With nowhere else to turn, they wind up being more or less adopted by a community of Korean freedom fighters and are soon taught well in the ways of war. Nam-yi, specifically, becomes incredibly adept with a bow and arrow and soon decides to pick up where his father left off and use his newfound skills to help further the effort to get the invading Manchurians out of Korea. As Nam-yi soon joins the fighters, he befriends Kim Seo-gun (Kim Mu-yeol), a young man that his sister takes a strong liking to as well and eventually she and he are wed. When the Manchurians launch an attack on their village and kidnap Ja-in among others, Nam-yi and Seo-gun take it upon themselves to save her. 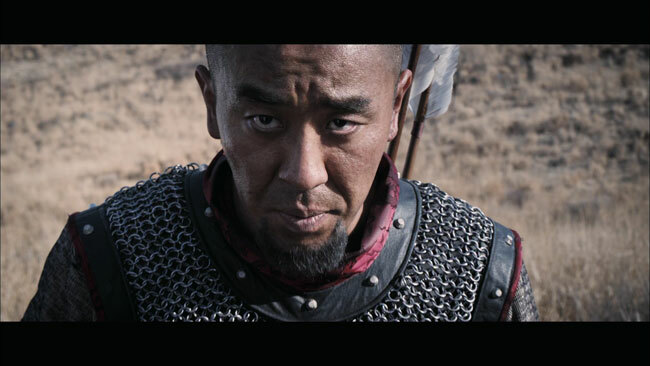 A fairly simple tale of a brother and a husband out to save a woman kidnapped by invading forces, War Of The Arrows hits the ground running and doesn’t really let up. There’s just enough character development here to keep us interested in the three principal players but the emphasis is on action and suspense, two things that the film definitely gets right. 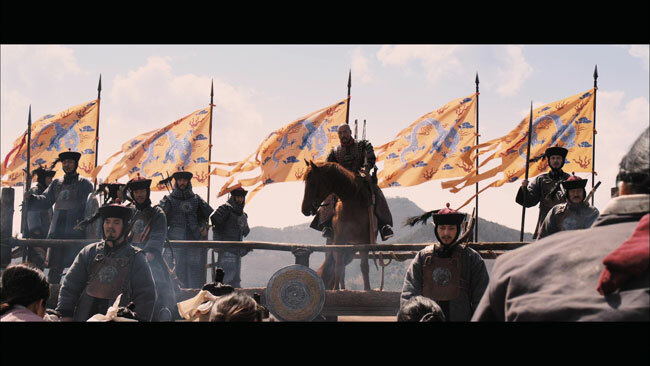 Unlike a lot of other recent Chinese epic historical action films, War Of The Arrows uses the political backdrop of the invasion to place the action in an interesting setting rather than let that setting overtake things and succumb to flag waving and nationalist rhetoric. Though the film clocks in at just over two hours in length, it never overstays its welcome. 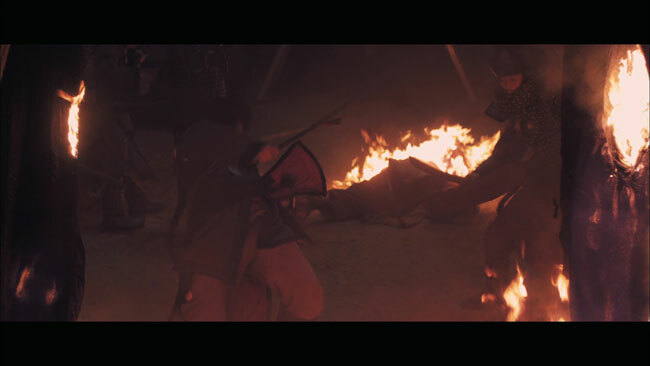 By hooking us with some clever plot twists the film manages to easily conjure up enough suspense to keep us interested in what’s going to happen until the next battle sequence comes along. 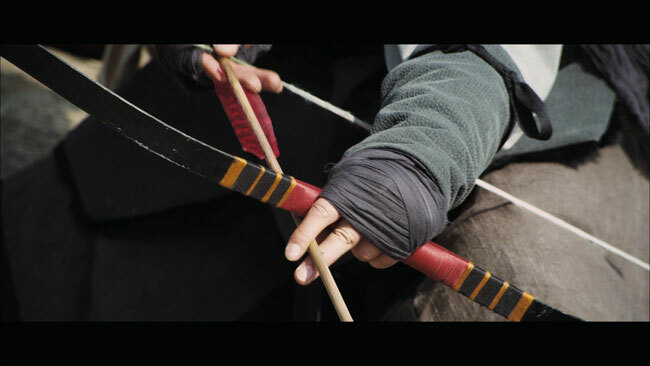 Though those action scenes, most of which are not so surprisingly (given the title of the film and all) archery related, hit with plenty of impact. 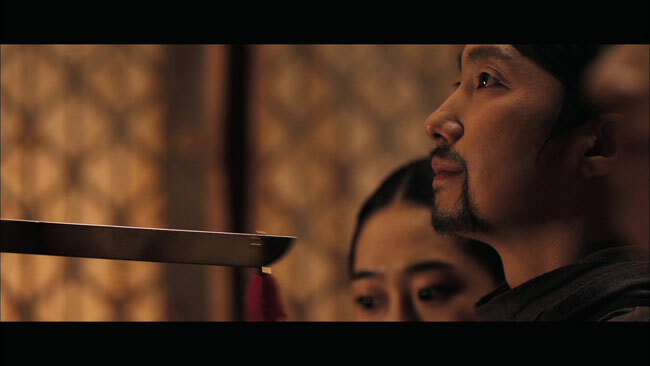 Making great use of sound design, Kim Han-min and his crew of filmmakers really pull the audience right into the middle of where it’s all going to inevitably collide. Some great cinematography helps provide a constant barrage of eye candy and so the film always looks its best, but gives us that right mix of both style and substance to make for a movie that’s more than just flashy battle scenes set on beautiful barren landscapes. There’s also some great attention to period detail here that helps to keep us in the moment, while the acting is solid from all involved as well. The film took home a load of awards at various festivals and it’s easy to see why – it’s a relentlessly paced picture with some noble heroes, some hiss-worthy villains and underneath all the war and gore, a decent message on the effects of war and of family loyalty. The AVC encoded 2.35.1 widescreen 1080p high definition picture on this disc is excellent. Detail is strong, colors are reproduced naturally and without having been artificially pumped up and black levels are nice and deep throughout the presentation. Some questionable use of CGI looks a little off, but that’s an issue with the effect itself and not the transfer. There are no issues at all with dirt, debris or visual detriments of any kind and the disc is well authored, showing no noise reduction or heavy edge enhancement. Outside of some slight shimmer here and there, the movie looks excellent in high definition. Korean language audio options are provided in DTS-HD 5.1 Master Audio and Dolby Digital 2.0 Stereo with removable subtitles available in English only. An optional English language dubbed track is also provided, but really, the only way to watch this movie is the lossless option, as it’s an impressive one from start to finish that does a remarkable job of putting you right in the middle of the action. Arrows zip past you from all angles, the sounds of war erupt from every channel when called for and dialogue stays crisp and easy to listen to throughout. The score is spread around perfectly with some nice pans thrown in for dramatic effect while bass response is consistent in its power but never to the point where it buries anything that it shouldn’t. It’s hard to think of anything negative to say here, this is pretty much a reference quality mix. There’s not much here in the way of extras, in fact outside of a trailer for the feature (and trailers for a few other Well-Go USA properties that play before the main menu loads), all that we get is a ten minute behind the scenes featurette. It’s worth seeing for some interesting footage but it’s not exactly deep. As this is a Combo Pack release, it also comes with a DVD version of the movie containing extras identical to those found on the Blu-ray disc. 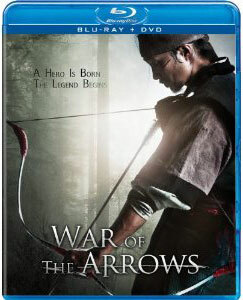 A gripping historical epic with loads of action and some awesome production values, War Of The Arrows could have used a bit more love in the supplemental department but otherwise receives an excellent Blu-ray release from Well-Go USA. This is good stuff – exciting, well made, beautifully shot and very well acted, just a great action movie all around.